Please click here to download the e-poster. To utilise information obtained from patients attending Type 1 clinic for quality improvement recommendations in our service delivery. To ensure our health service is not limited by historical service arrangements and has the ability to innovate and implement change if required. Collect data for 3 months: age, gender, HbA1c, blood glucose level (BGL), ketones, BMI, use of social media & allied health attendance in the last 12 months. 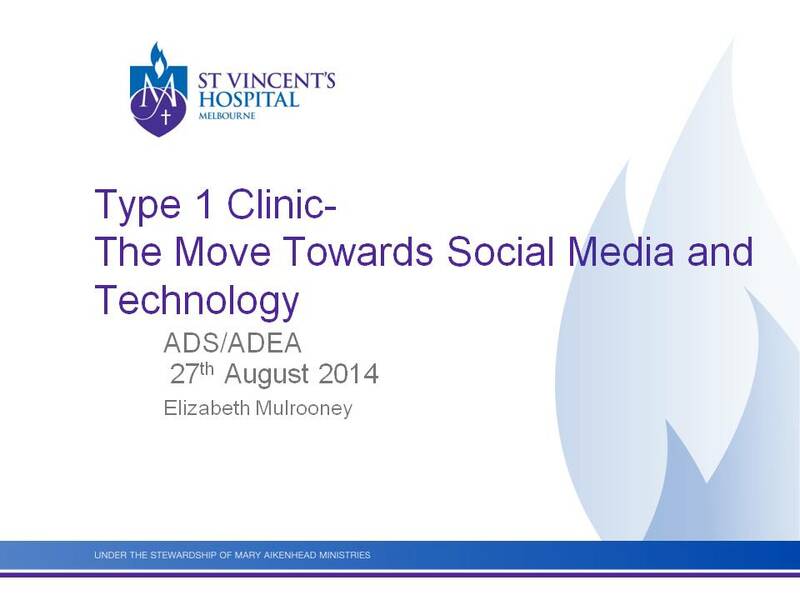 Social media is widely used within the Type 1 patient group. Patients are not meeting clinical targets. It was found that although our health service is limited by historical service arrangements, there is a need for the implementation of new technology. Recommendations for use of e-health & social media are in discussion. This abstract award is supported by BD Medical.